At Wellington House Dental Practice we have been caring for the oral health of our patients for many years and invest heavily in our modern practice whilst upholding the highest level of care for you. Michael was born in Ely and educated at St. Ambrose College, Manchester. After qualifying from the Royal London Hospital in 1982 he joined the practice and became a full partner in 1987 and Principal in 1999. He is married with 2 daughters. 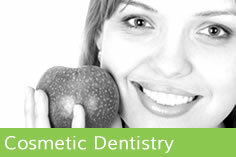 He has particular interests in cosmetic dentistry and dental implants. He became recognised as a vocational trainer with the postgraduate deanery in Cambridge in 1999, a position he held for 5 years. He has recently completed postgraduate studies in Manchester in Implantology. 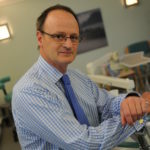 He is a past Chairman of the Norfolk section of the British Dental Association and he has recently been appointed to the position of practice advisor for Denplan. Outside dentistry he is a knowledgeable ornithologist with a particular interest in SE Asia to which he often travels and is a trustee of a conservation charity working in Asia. He is a keen skier and has instructed at Norwich Ski Club. His other hobbies include photography and he holds a private pilot’s licence. Helen qualified from the University of Newcastle in 1998 and worked as a general practitioner until 2003 when she travelled for a year around New Zealand and Australia working as a dentist in Queensland, north New South Wales and at The Royal Melbourne hospital and finally Sydney. Helen finally returned to the UK in 2009! Helen’s husband Jon is also a dentist and they have 2 young children and are now very settled back in Norfolk. Helen had also found time to further her dental qualification and was awarded the Diploma of Membership of the Joint Dental Faculties at The Royal College of Surgeons of England (MJDF RCS Eng) IN 2011. Outside dentistry her family keep her very busy but she occasionally finds time for reading, cinema and baking. Rachel qualified from Leeds Dental Hospital in 1993. She is married to Simon, who is a vet and they have two children, Charlotte and Thomas. Rachel has worked as a dentist in Norfolk for most of her practicing career and, like Dr Edgecombe, she has been very involved in the postgraduate education of dentists new to general practice. She is at present completing her studies to obtain a postgraduate qualification in medical education. Rachel is a busy mother and spends what little free time she has swimming and in the gym. She is also actively involved with the Norfolk branch of the British Dental Association. Our Practice Co-ordinator is Mrs Sarah Burton. Sarah is responsible for the day to day running of the practice and is available to help with any enquiries the reception team are unable to answer. Our team of dental nurses support the dentists and hygienists. 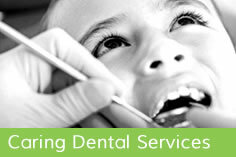 Their skills and dedication to training help us provide you with a high standard of dental care. Sarah Leonard and Jessica Brown lead the team of qualified dental nurses and are registered dental nurses. Sarah is a certified dental radiographer and dental health educator. She has also undergone training in implant nursing. Jessica is jointly, with Sarah, our Decontamination Lead ensuring that a high quality of surgical sterilisation is maintained throughout the practice. She also manages our orthodontic patients and is undergoing further training in orthodontics. She works with Sonal Patel, our visiting orthodontist, on Fridays. Jessica has also undergone training in implant nursing. Amanda Walker joined the practice in 2011 and is a qualified and registered dental nurse. She works primarily with Dr Edgecombe. Trina Jones is a qualified and registered dental nurse and dental health educator. Trina has worked at Wellington House since 1980. 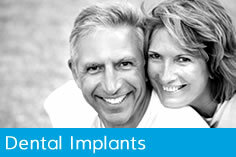 She has also undergone training in implant nursing and primarily works with Dr Peppiatt. Natasha Wilson joined the practice in 2011, she is a qualified and registered dental nurse and primarily works with Dr Edgecombe. Julie Mann joined the team in 2011, she is a qualified dental nurse and also holds a qualification as a dental health educator. Julie works primarily with Dr Treleaven. Andrea Page who is a qualified dental nurse and radiographer re-joined our practice team in 2013 and works primarily as a receptionist. Vicki Whitehouse joined our practice in 2014 and previously was a dental practice manager in Newmarket. She has undergone further training here and primarily works in our sterilisation suite. Our Receptionists Julie Morrissey and Andrea Page are our ‘front of house’ team who answer the phone to you, ‘with a smile in their voice’! They remind you by phone, text and e-mail of your appointments and have an active recall/maintenance system in place. They also manage interactions between the practice and our various laboratories. They are here to provide you with all the information you may require about your visit to the dental practice or your appointments. They can also advise you on payment schemes and finance arrangements that the practice offers. Our Team of Hygienists are responsible for professionally cleaning and polishing your teeth (scaling and polishing). They offer a programme of oral care which is appropriate to your needs and lifestyle. Visiting the hygienist regularly is important to monitor and help maintain good oral health. Melanie started her career in dentistry in 2005, when she trained as a dental nurse and was awarded her NVQ level 3 in Dental Nursing. She decided to progress her career further and studied at the Eastman Dental Hospital in London where she gained her Diploma in Dental Hygiene in 2012. Melanie’s particular area of interest is helping nervous patients achieve good oral health and minimising their needs to visit the dentists for treatment. Hayley trained and qualified from London’s Eastman Dental Hospital in 2007. She has worked in private practices both in London and Suffolk. Hayley loves travelling, one of her favourite places being Thailand. She is also a very keen football fan and loves going to matches to see her team, Newcastle United, play. In her spare time Hayley enjoys socialising with family and friends and keeping fit. Holly qualified in 2014 from the University of Newcastle and has worked in private practices ever since. Holly joined the Wellington House team in 2016 after moving to Norfolk from Berkshire with her partner, Ben. Holly has a very gentle touch which maintains a relaxed environment and ensures all aspects of treatment are comfortable for her clients. If you are at all anxious about visits to the hygienist, Holly would love to see you and give you a dental experience you will enjoy! Originally from Lincolnshire, Holly enjoys visiting her family and catching up with her mother (who is also a hygienist!) Apart from dental hygiene, Holly’s other passion in life is painting. She hopes to get some inspiration from the beautiful beaches Norfolk has to offer. However, at the moment her new springer spaniel is taking up most of her free time!